Apartment in Palermo Soho, Buenos Aires - Paul's ! 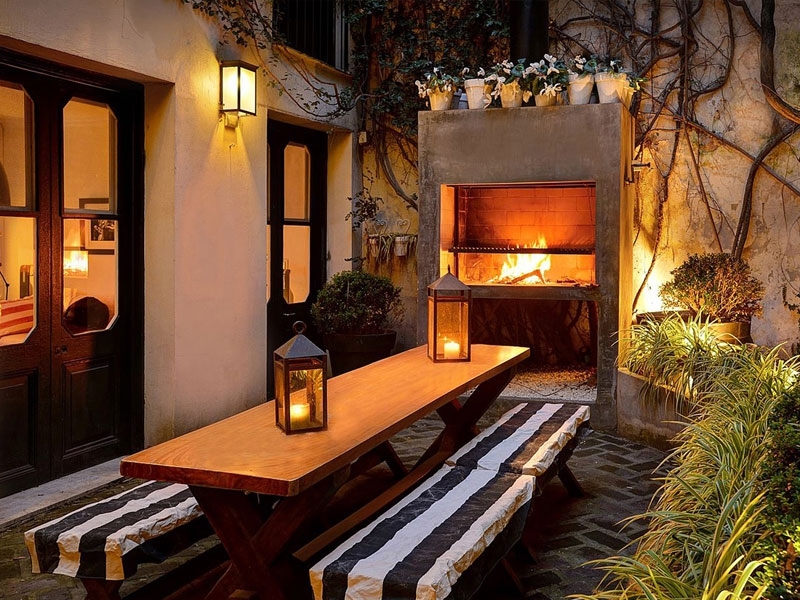 3020 square feet quintessential Buenos Aires style house located in the heart of Palermo Soho with private courtyard, terrace and barbeque - You will only need to bring your own bottle! 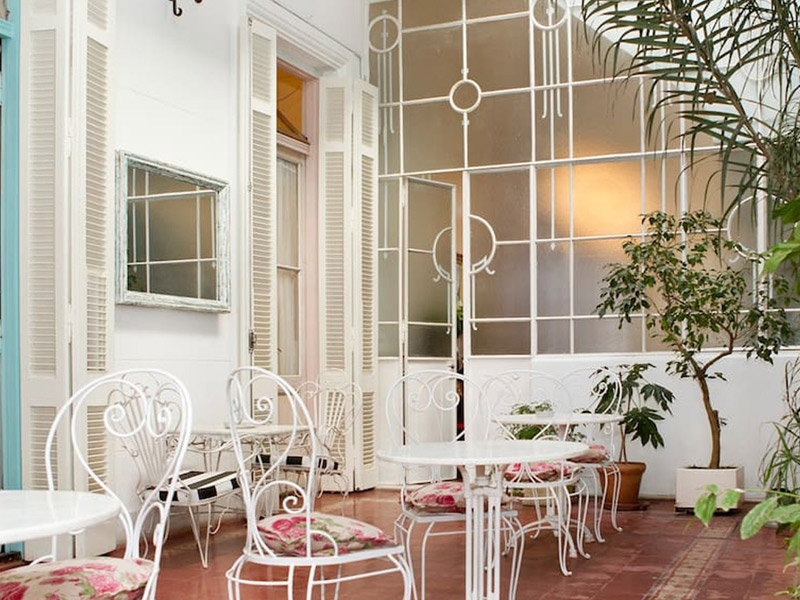 This renovated 1920s home is hidden gem in the hippest part of town, the real feel of old Buenos Aires but impeccably updated and modern, this house was remodeled recently with both taste and flair. The street where it is located on is surrounded by boutiques, restaurants and galleries, but yet offers a peaceful environment, your very own home away from home. Located right above Paul’s French Gallery, a local boutique shop selling mostly French inspired home décor, where you will also find a tea shop, a flower shop and a café, literally on your doorstep. On the first floor, the living room comes complete with plenty of comfortable seating and opens onto a french balcony facing the street, antique hardwood floors, high ceilings and plaster mouldings complete this light filled room. On this floor you will find the first two bedrooms, both airy and light, each featuring a queen size bed, they both share share the well appointed bathroom. The open plan kitchen and dining area has been fully renovated and modernly equipped, but still maintaining the original feel of the house. The checkered floor is the perfect setting for the wooden dining table and the individual red chairs, the entire room is filled with light thanks to the inner ivy-covered courtyard, accessible through the dining room. On the mezzanine level, you will find the third bedroom, featuring a queen size bed that can be split into two singles. The master bedroom is located on the second floor, and features a king size bed and private access to the terrace. These two rooms share a fully renovated bathroom with tub. The terrace is accessed through the hall, faces both the street and the gallery, and comes fully equipped with table and chairs and, most importantly, your very own private BBQ. A great place to watch the sun go down, glass of wine in hand, while you show off your barbeque skills.